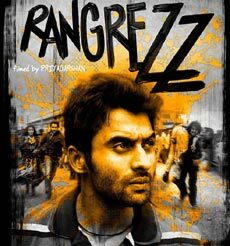 'Yaaron Aisa Hai' is an inspirational song from film Rangrezz. Priyadarshan, the famous director of Hindi, Malayalam, Tamil, and Telugu movies has directed this film for producer Vashu Bhagnani. Jackky Bhagnani and Priya Anand is playing the lead roles in the film. This song 'Yaron Aisa Hai' is penned by Sameer while Salim Merchant has sung it and Sajid-Wajid has composed it. Har mushkil se hai humko takrana! Ab naa hai thakna.. aa..